The character chart on the following pages contains all the character information you will need while programming your VIC-20 or your Commodore 64. Keep it by your computer for handy reference. BASIC – lists the BASIC (language) keyword tokens. 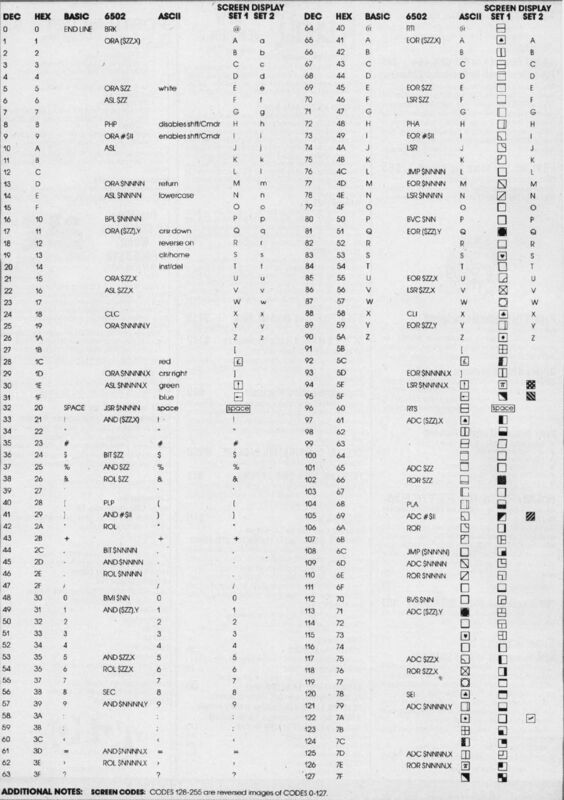 6502 – contains the numeric representation of the 6502 instruction set. Zero page operations are listed with ZZ. Immediate operations are listed with II. Others are listed with NNNN. 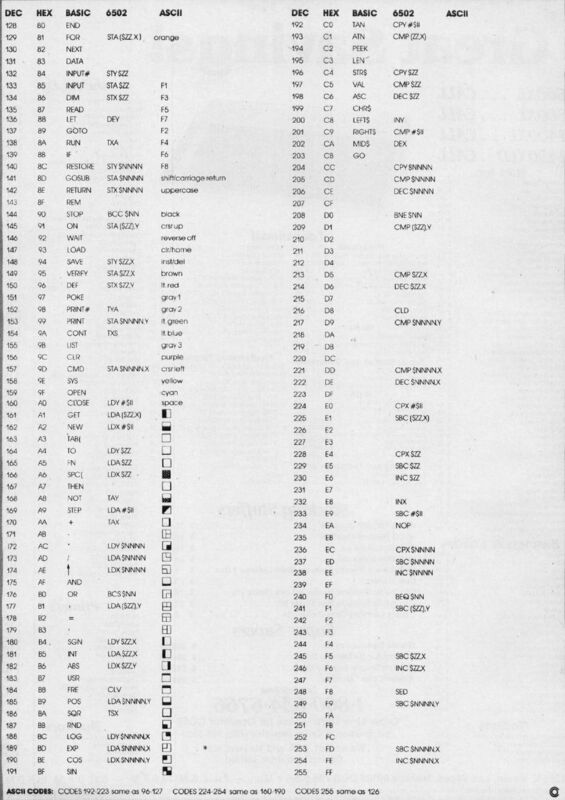 ASCII – contains the Commodore ASCII control and character codes. Screen Display – lists the character codes for POKEing to the screen. Set 1 and Set 2 correspond to uppercase and lowercase, respectively. Both sets cannot be displayed on the screen at the same time. Switch to Set 2 by simultaneously holding down the SHIFT and COMMODORE keys or POKEing 53272,23. To return to uppercase again, press the SHIFT/COMMODORE keys or POKE 53272, 21. Screen display characters may also be displayed in reverse character mode by adding 128 to the values that are listed. Standard ASCII – gives values for standard ASCII codes. These codes can be used for controlling printers or when standard ASCII values are needed, as in telecommunications applications.